The Federal National Mortgage Association is a Government owned organization that purchases mortgaged backed securities from lenders that service loans to re-capitalize so they can lend more money. FNMA then sells securities that are sold on Wall Street. These loans are also called conventional loans or conforming loans. The Federal Home Loan Mortgage Corporation is a Government owned organization that purchases mortgaged backed securities from lenders that service loans to re-capitalize so they can lend more money. FHLMC then sells securities that are sold on Wall Street. Both FNMA and FHLMC do the same basic function in the secondary mortgage markets. They just have some different loan types they will securitize. These loans are also called conventional loans or conforming loans. These loans are fixed rate loans with no adjustments ever. Loan-To-Value (LTV) Ratios as high as 95% or 5% minimum down payment. Investors purchasing with intent to rent property will have a maximum of 80%LTV or have to put 20% down payment. FHA has both Fixed rate and Adjustable rate options but the with low interest rates the fixed rate loans are the most popular. These loans can be use for purchasing Real Estate (owner occupied only) and refinancing existing FHA Loans which can be either owner occupied or non-owner occupied. These loans are assumable to those who qualify. Refinances can be done with or without an appraisal and Income verification. Click here for more info. In order to qualify for a VA loan you must be either a veteran or currently serving in the military. 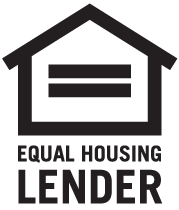 This loan has no mortgage insurance as it guaranteed by the Federal Government. So with the federal guarantee a Veteran can purchase a home with no money out of their pocket. You will need to show your Separation papers or DD214 form or an "In Service Statement" from your commanding officer. For more information click here to see our veteran's page. The VA loan is for those who have served our country or are currently serving in our Armed Forces. These loans are fixed rate loans. The Loan Limit for regular VA loans is $417,000 up to $1,050,000 per county (Note Loans over $417,000 will require a down payment). Click here to check your county. IRRRL stands for Interest Rate Reduction Refinancing Loan. 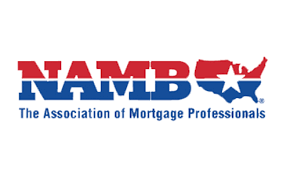 You may see it referred to as a "Streamline" or a "VA to VA." Except when refinancing an existing VA guaranteed adjustable rate mortgage (ARM) to a fixed rate, it must result in a lower interest rate. When refinancing from an existing VA ARM loan to a fixed rate, the interest rate may increase. Click here for more info. Applicants for loans may have an income of up to 115% of the median income for the area. Families must be without adequate housing, but be able to afford the mortgage payments, including taxes and insurance. In addition, applicants must have reasonable credit histories. Loans are for 30 years. The promissory note interest rate is set by the lender. There is no required down payment. The lender must also determine repayment feasibility, using ratios of repayment (gross) income to PITI and to total family debt. These are loans that have higher a loan amount than Conventional loans or Government loans allow. These loans vary in guidelines from lender to lender as these loans are not sold the same way into the secondary mortgage markets as are Conventional loans and Government loans. These loan have a higher risk associated with them in the shear size of the loan. Generally the interest rates on these loans, because of the higher risk, are higher. The guidelines will require full income documentation. Down Payment requirements will go up as the loan amounts go up with a minimum down payment or equity position to be 80% loan to value (LTV) or a 20% down payment. With loan amounts over 1 million generally the LTV wil have to be 75% or less depending on the investor. Down Payment will have to be at least 20% of the purchase price or have an 80% LTV for a refinance. That is the minimum and most cases will require a higher equity position and will vary from deal to deal. Maximum Loan Amounts will vary from transaction to transaction but can go as high as 20 million and ins some cases higher than that. Online Form - Have a Question Need Help?